Join one of our adult options to grow in your faith and have fellowship with others. Wednesday Night Bible Study | Join Pastor Jim and Wayne Brady in studying books of the Bible, important topics of faith, or a deep dive into the current sermon series. The study starts at 6:00pm and meets in the east classroom across from the library during our normal Wednesday night programming. For more information, please contact Jim Kinder. 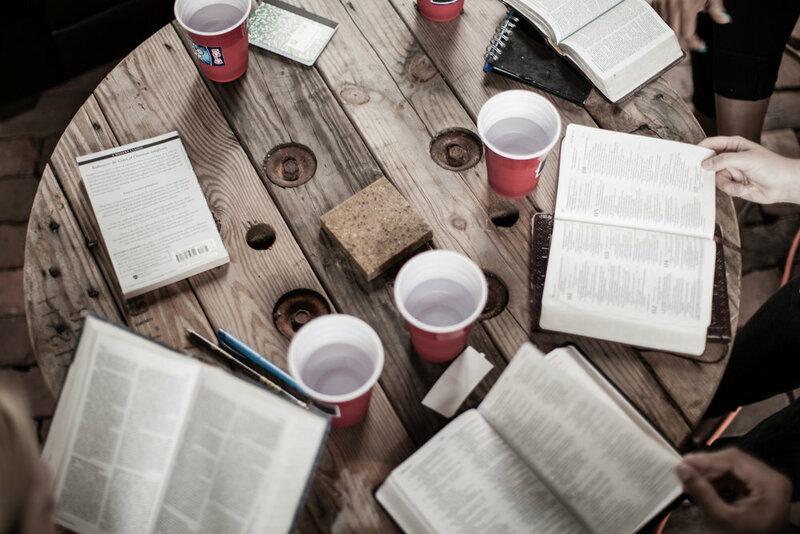 Men’s Bible Study | Come together with other men in our community for fellowship and good conversations on Tuesdays 6:30am at BuzzCatz coffee (25689 Canal Rd, Orange Beach, AL 36561), or Thursdays at 7:00am in the Youth House on our church campus. For more information, please contact Mark Bollinger. Women’s Bible Study | Join Carol Morris for an opportunity for all women to grow and learn together through studying the Scriptures. The study starts at 6:00pm and meets in the library on the east side of the Sanctuary. Click here to learn more about what we have been studying together. Women’s Study: Twelve Women of the Bible | In this twelve-session, video-based study based on the bestselling devotional Women of the Bible, you'll meet twelve biblical women who encountered God, whose lives were forever changed. These remarkable women will encourage you through their failures as well as their successes. The group meets 7:30PM the 2nd & 4th Tuesdays of each month. Contact Laura Thomas or Renee Coaker for more information and the address for the gathering.